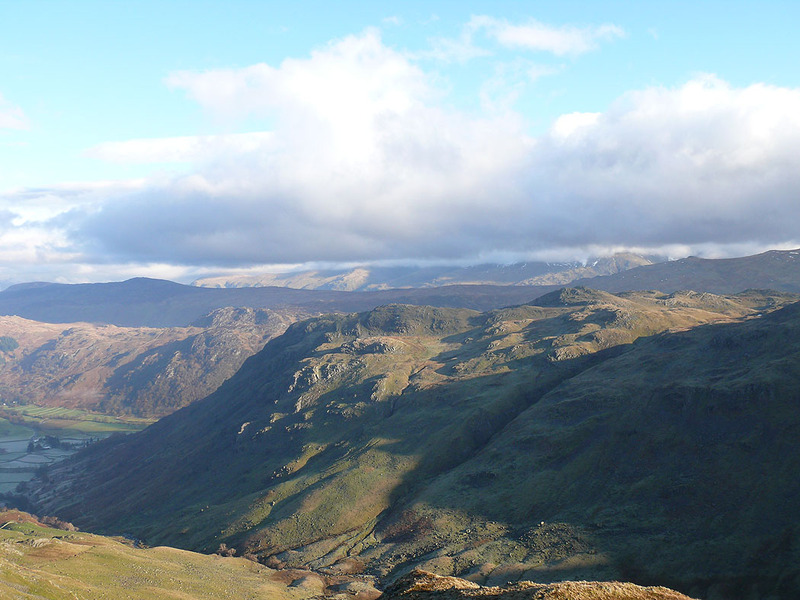 When I set off on this walk I had planned to walk to Glaramara but a change in the weather put paid to that. 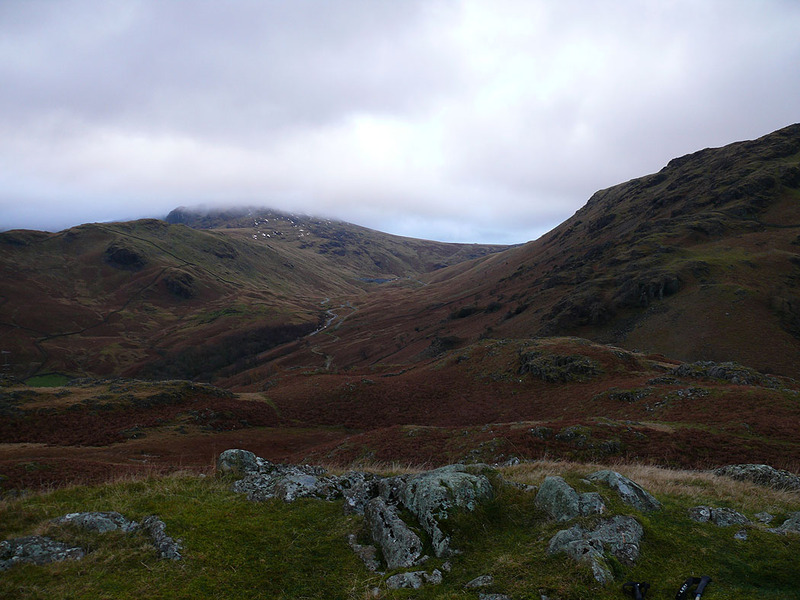 As I was walking up Thorneythwaite Fell the blue skies and sunshine suddenly disappeared to be replaced by low cloud, hill fog and a strong wind. 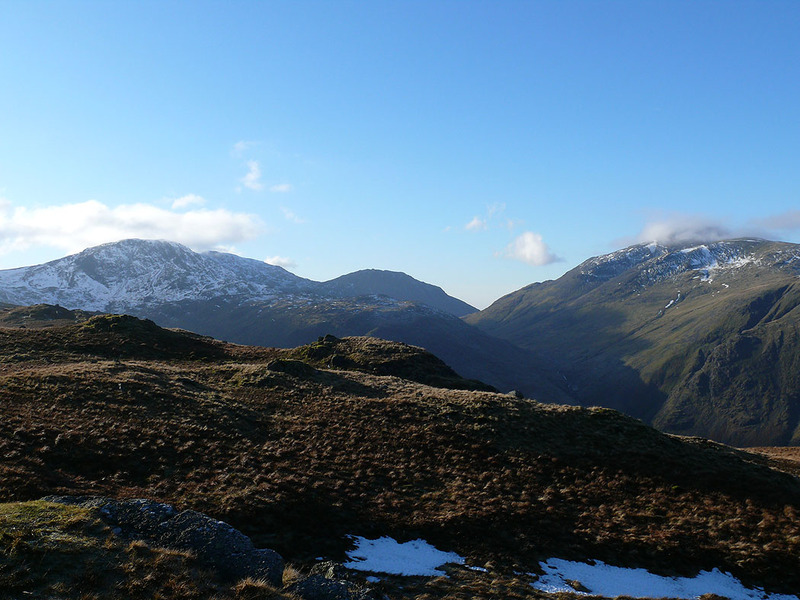 I've already been up Glaramara a few times so I decided to turn around and continue the walk down in Borrowdale with a walk by the Derwent and up to the summit of High Doat before returning to Seatoller. 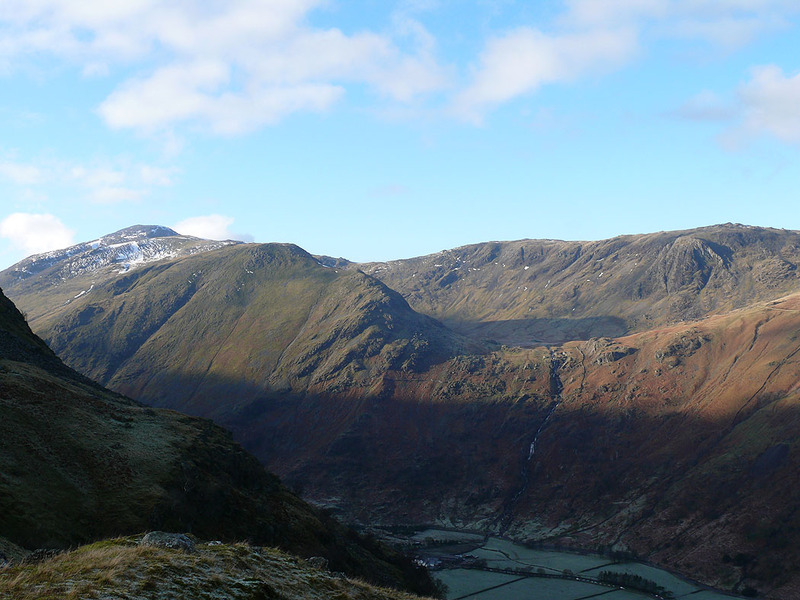 Great End, Lingmell and Great Gable. 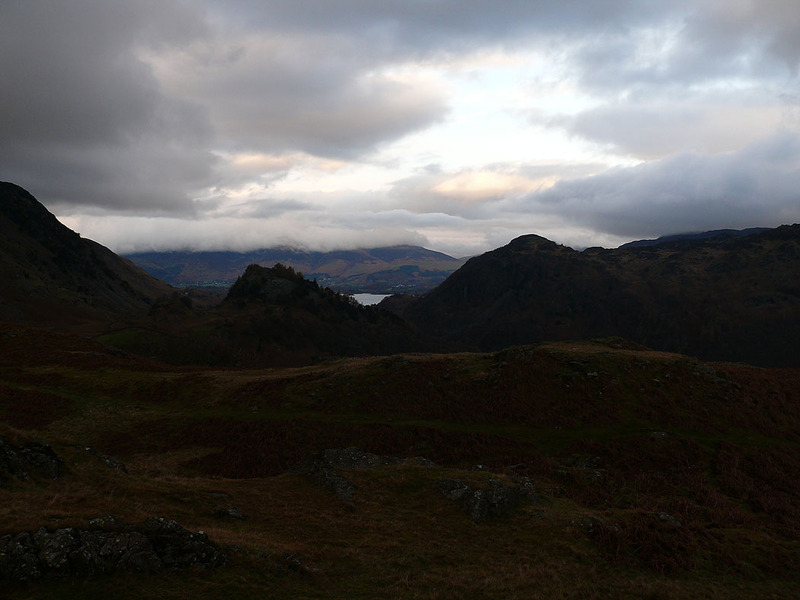 This was the last picture I took for a while. 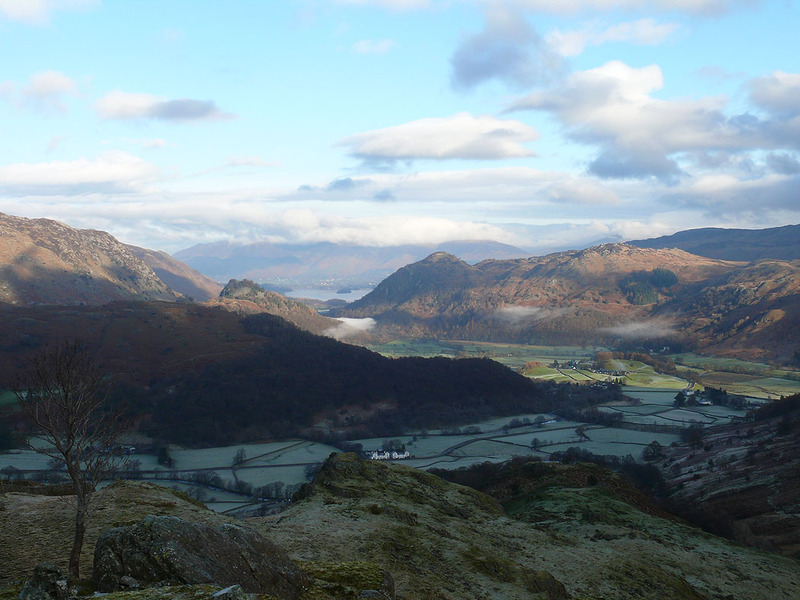 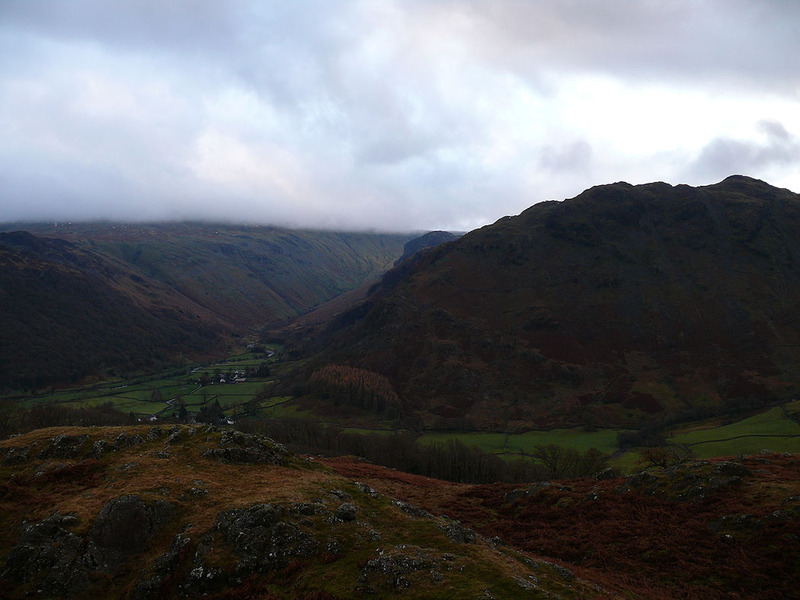 The cloud suddenly came down so I made my way back down to Borrowdale. 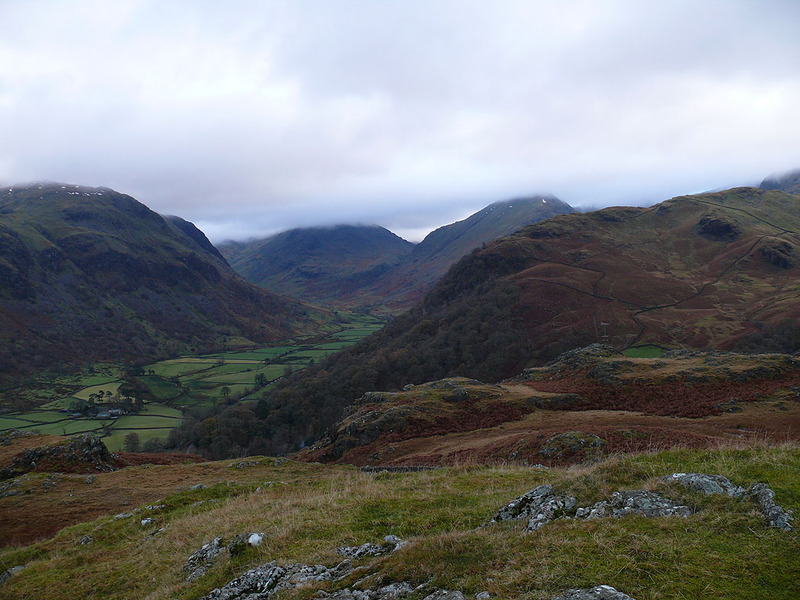 On High Doat. 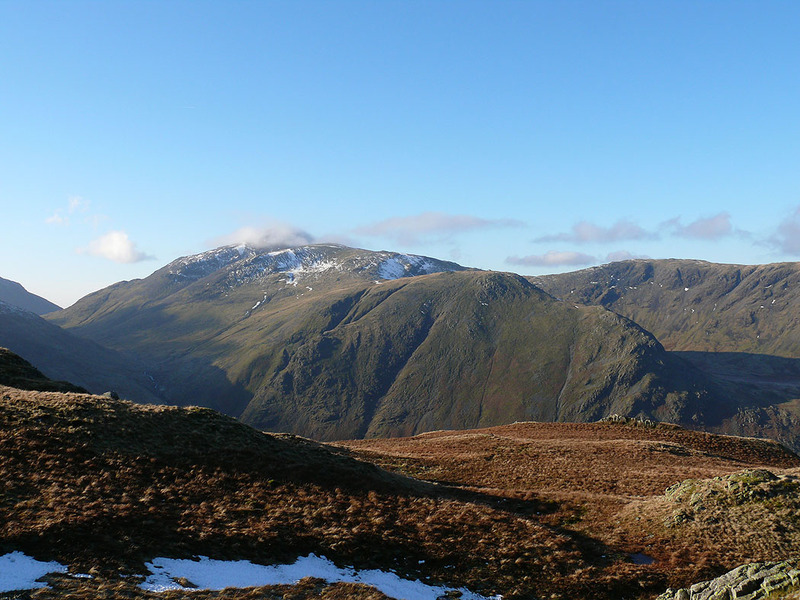 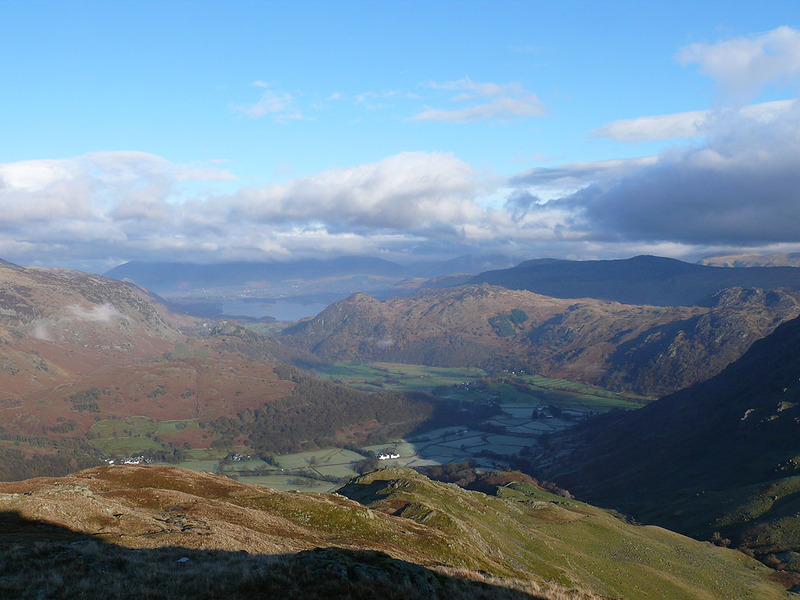 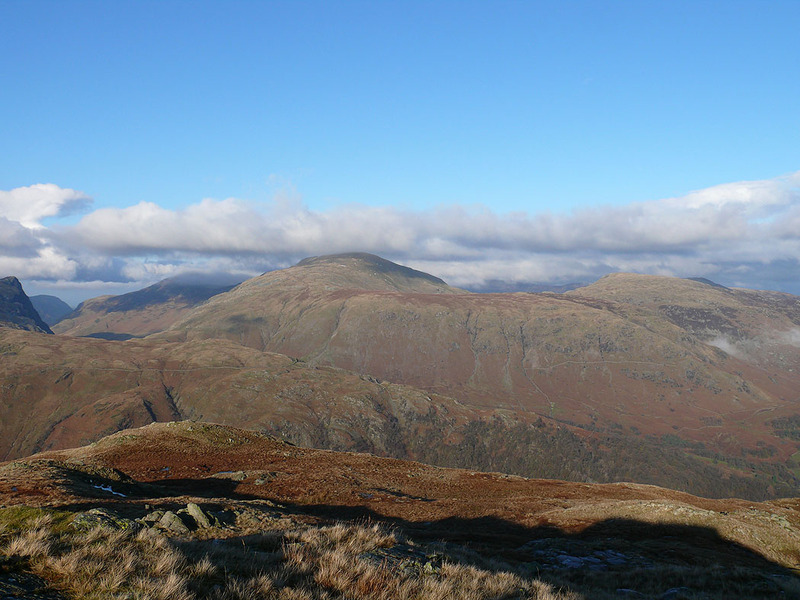 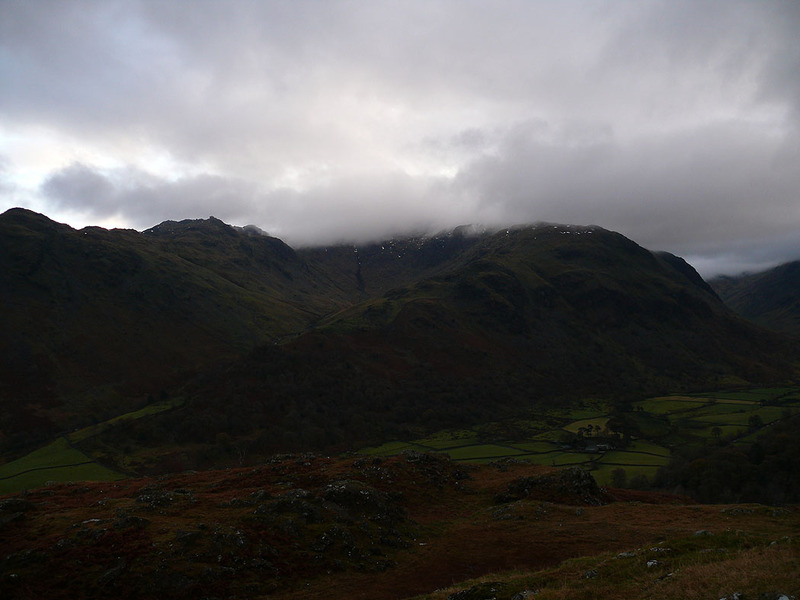 The ridge of Thorneythwaite Fell leads up to a cloud covered Glaramara.